Koffee With Karan 6: From Getting Drunk and Proposing Tara Sutaria to Being a Gossip Monger, Ananya Panday is Exactly Opposite Her Online Shy Persona! Koffee With Karan 6 is back with the new list of guests. The celebs that graced the coffee couch in the latest episode were Student of the Year 2 actors, Ananya Panday, Tiger Shroff and Tara Sutaria. Host Karan Johar was all chirpy and merry as he welcomed his new batch of students and broke a few myths that we had about the new girls! Chunkey Panday's daughter Ananya has always been considered as the shy girl in the lot. However, turns out that she is exact opposite of what she is considered to be! Koffee With Karan 6: Tiger Shroff Blatantly DENIES Dating Disha Patani, Calls Her a Just a ‘Great Friend!’. In this fun episode, the director of SOTY 2, spilled some beans about the stars and the most shocking ones were of the pretty girl Ananya. The otherwise quiet girl was all chatty and giggly on this show and thus telling us that she has a lot of things to tell to her fans. In one if the sessions, Punit Malhotra revealed that she called him with a cuss word that starts from 'A' on the sets of the film. Miss Panday had a backstory saying that he taught her that to be a little bit open to the industry culture and then she continued the same. He also dropped a bomb by showing a picture where Ananya and Tara were all dressed up and drunk! In fact here, Ananya even proposed her Tara to which the latter said YES! Well, we could see the embarrassment on their faces after the deets from their drunk diaries came out in public! Not just this, in another session, both Tiger and Tara agreed that she is the biggest gossip monger on the sets! Surprisingly, Ananya did not even try to defend herself and totally agreed to it gracefully. 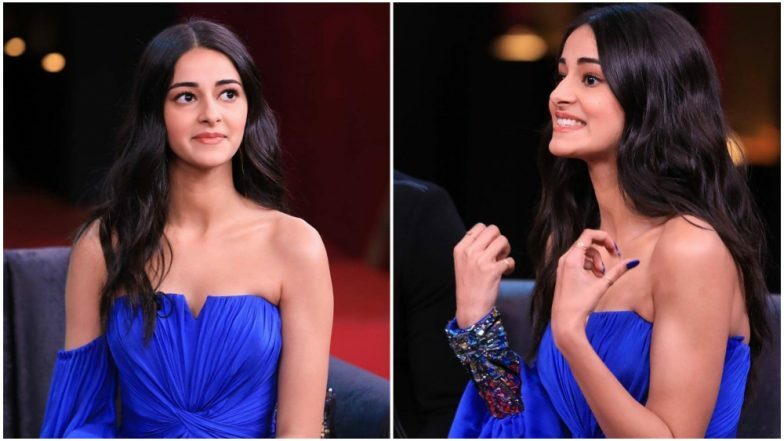 All in all, the episode really introduced us to the real 'Ananya Panday', totally different from her online persona and we are too excited for her debut now!